I used to try to not get political on my social media accounts, and lately it feels so wrong not to share when human rights are clearly on the line, especially here in the US. When we’re embodied, it means we feel more. I realize this can be quite…hard. Especially at first. Our practice helps us sit with that discomfort, digest what’s happening in the world and take right action. We can learn to be with more suffering, more muckiness and find our way back to our core truths and step forward. Embodied practice is my jam, and enables us to lead skillfully, wholly. If we’re privileged, we have even more responsibility to act. Leadership is love in action. Using our voices and behavior to create a world the feel fair and free for everyone. I want my work to reach more people (and not just affluent white women), be accessible to more people (because fancy handstands don’t necessarily help us move through life – if you’re breathing, you can practice embodiment) and create more good in the world (which means talking about the things I care about, even if they’re uncomfortable). But people do die because of their skin color and beliefs. Because of poverty. Because of illnesses and heartbreak. I have no desire to run for congress, yet I’m thankful for the diverse women that did – and that won. Gradually, we’re witnessing change. We need large scale shifts, but that feels overwhelming for me at times, and likely for a lot of you reading this. We make an impact or allow beliefs to permeate and perpetuate within our families, communities, churches, schools, companies and organizations. Our very presence is the piece of the puzzle I work with – helping strengthen your resolve, your voice, your nervous system and body’s resilience and capacity to face what’s hard and come out whole on the other side of a difficult exchange. When we share our beliefs, the way we vote, and the charities we support, it’s likely we’ll lose followers or sales. Yet we will also grow our following and our impact with like-minded individuals that also care about the planet and all its people. Are you willing to rise up, share your whole self and maybe ruffle some feathers? This September, I went on retreat with Nisha Moodley in BALI because community is taking root and being made a priority in my work. I trusted the quality of women I’ll circle with there. I needed a space to fall apart and let myself come back together changed, simultaneously tenderized and galvanized for my next chapter of living and leading. This trip changed my life. Do you crave a deeper connection to yourself, your soul? Do you deserve (yep!) and long for a community of other women doing their inner work – together? 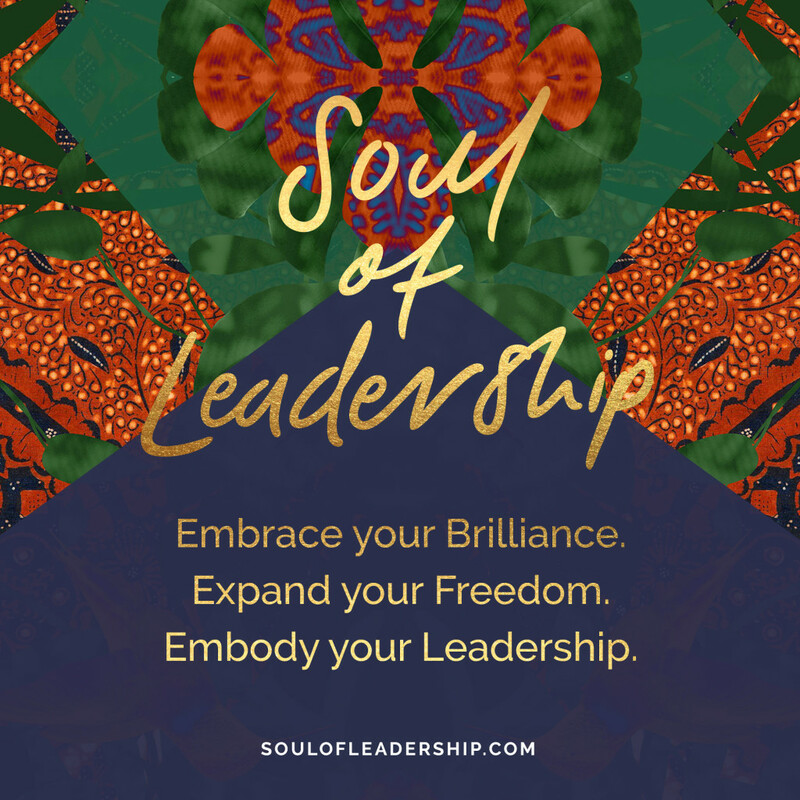 If you feel drawn to embody your unique leadership, consider enrolling in Soul of Leadership. Nisha’s transformed an already beautiful program into a year long container with more support than ever. I’ll be working through it again as an alum, and would love to have tea and talk it out with you as we move through each module, together. You can check it out here, but please know enrollment is closing soon. I’d love to welcome you in! How do you lead in your life? 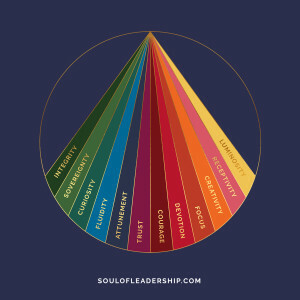 What skills are you honing or do you need in order to lead better? Here’s to trusting our embodiment so we can speak up, stand tall and reshape this world.